PALM DESERT, Calif. /California Newswire/ — Bank of Southern California today announced that seasoned community banker, Mark Gustafson has been appointed to lead the bank's Coachella Valley region. 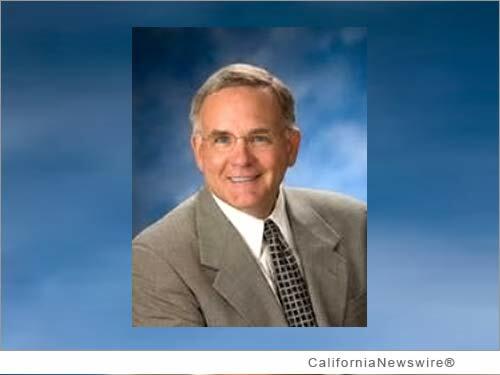 Mr. Gustafson most recently served as Market President for First California Bank which was sold and merged into Pacific Western Bank. Gustafson also served as President and CEO of Canyon National Bank, Ogden BancShares, Inc. in Ames, Iowa, where he initiated and directed three de novo bank charters and, Boone Bank & Trust Co. of Boone, Iowa. "The desert region presents a tremendous opportunity for us and given Mark's experience, we are extremely pleased he has joined our team," commented Nathan Rogge, CEO of Bank of Southern California. Mr. Gustafson is active in several Coachella Valley organizations, and currently serves as Treasurer and Board Member of Palm Springs Women in Film & Television, and is also a Board Member of United Way of the Desert. He is a graduate of Iowa State University in Ames, Iowa, as well as the Graduate School of Banking at Boulder, Colorado. "I am very pleased to join Bank of Southern California and have the opportunity to work alongside a dedicated team of community bankers committed to the Coachella Valley, and the Southern California region" added Mr. Gustafson. In December 2010, the bank acquired their La Quinta and Palm Springs branches from Palm Desert National Bank as its entry into the Coachella Valley which the bank sees as a key Southern California market. Then in March 2013, Bank of Southern California acquired the La Quinta building that they had leased for the prior two years and in February 2014 the bank acquired the Palm Desert branch of AmericanWest Bank. "Our recent acquisition of the Palm Desert branch of AmericanWest Bank and our purchase of the building in La Quinta are illustrations of our long-term commitment to the Valley and our desire to more fully and permanently serve our clients in the Desert Cities area. The Valley has recently lost many of its long term community banks through mergers and acquisition, and Bank of Southern California fills that void," concluded Nathan Rogge. Established in 2001, Bank of Southern California, N.A., a national bank with headquarters in San Diego, Calif., is locally owned and managed and committed to meeting the business, professional and personal banking needs of the Southern California communities it serves. With six offices in San Diego County and the Coachella Valley in Riverside County, Bank of Southern California remains one of the strongest, well-capitalized banks in the region, with a growing asset base and loan portfolio. For more information, visit http://www.banksocal.com/ .